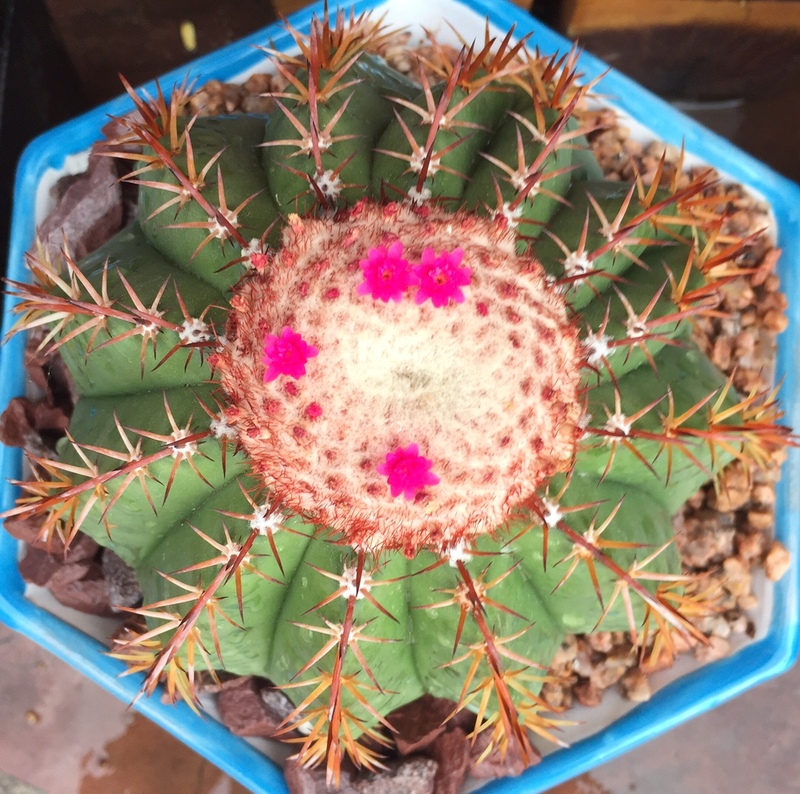 My Melocactus Conoideus is a recent addition to my collection – I just bought it last Sunday at EcoGro, a small aquaponics shop and purveyor of unique and interesting cacti and other succulents. The photo above is actually a picture I took in the car on the way home 🙂 They only had three specimens in the store, and they were bought up like hotcakes. 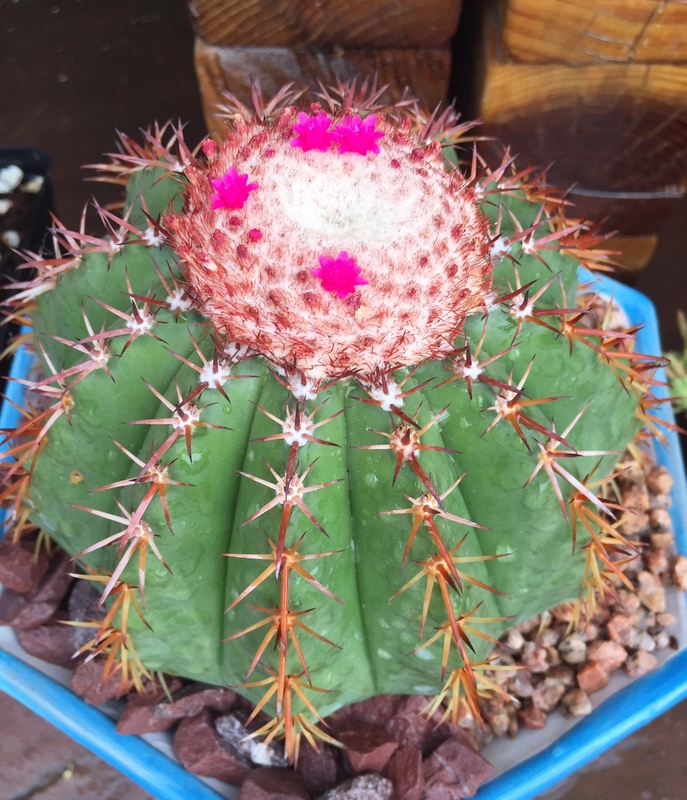 This is an incredibly rare variety of melocactus (also known as Turk’s Cap Cactus) – in fact, it is nearly extinct in the wild. 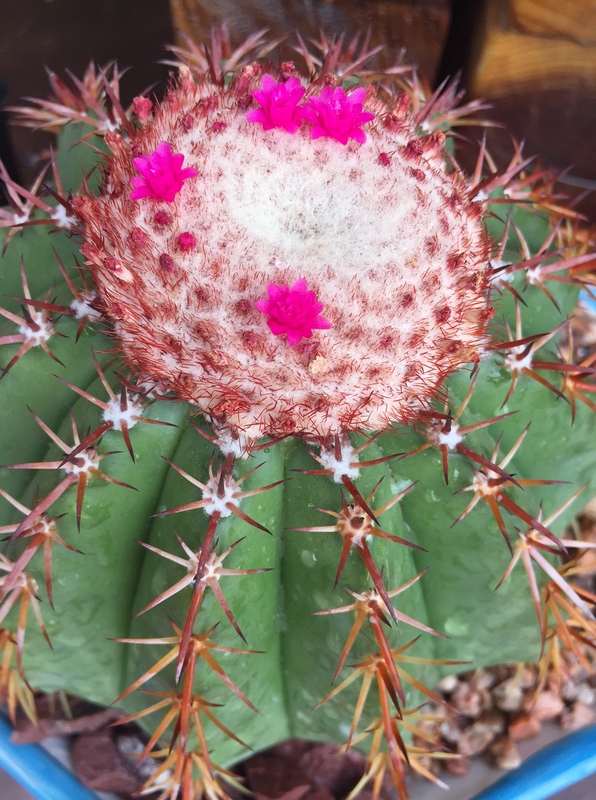 We’re lucky here in Tucson – apparently there is a local cactus aficionado who cultivates them from seed and painstakingly cares for the plants for YEARS until they reach this maturity – and then sells them to a few select nurseries around town. 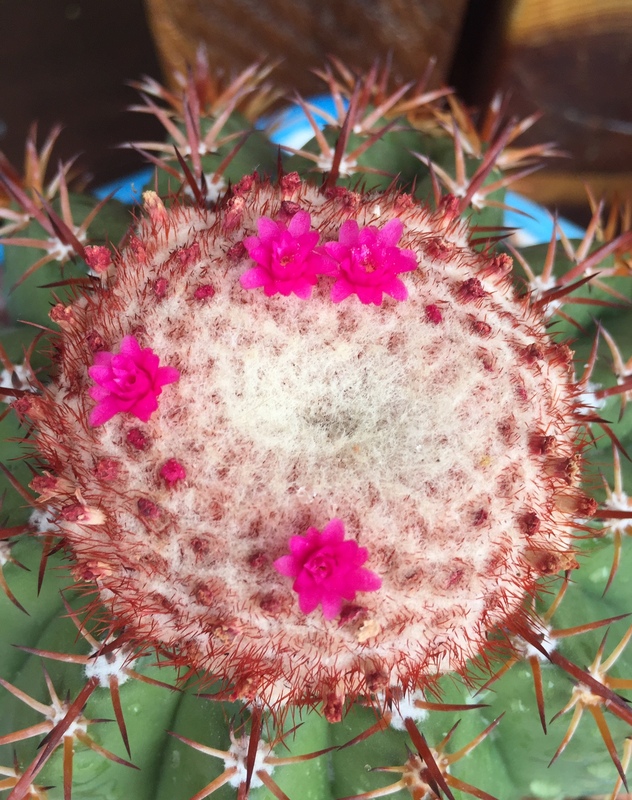 “Melocactus conoideus has a very small range (extent of occurrence less than 100 km2), it is known from one location, and the population is in continual decline. This cactus can be found near Serra do Periperi, in the Municipality of Vitória da Conquista, in south-eastern Bahia, Brazil. It grows at elevations of 1,000 to 1,200 m asl. Part of the population is protected, however the rest are quickly disappearing. 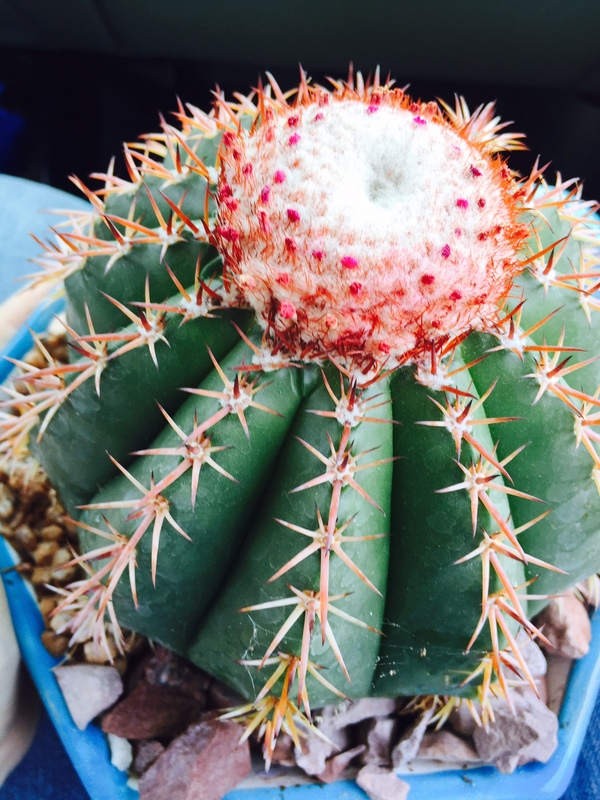 This cactus is therefore listed as Critically Endangered. So yes, the cactus has been home for less than a week, and when I got home from work yesterday I had the most pleasant surprise: it was flowering! I actually really had no idea how this thing would flower (would it shoot out giant flower buds, like many cacti do? Would it even flower at all?) I just had no idea what to expect. And then it happened. Isn’t it wonderful?? ?